A deeper understanding of local priorities leads to a more effective advocacy agenda. 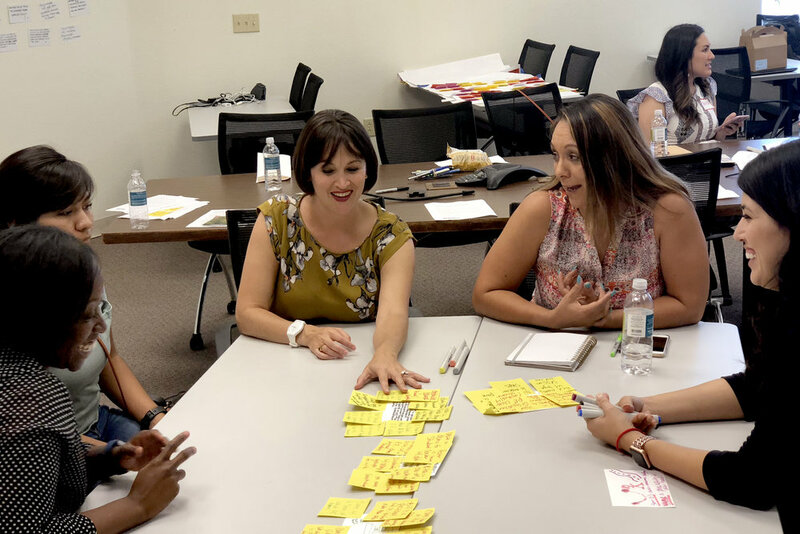 In 2017, after a difficult legislative loss in New Mexico, the American Heart Association’s SouthWest regional team wanted to explore the how they might take a more grassroots, community-centered approach to policy design and advocacy. How might we marry community priorities and evidence-based policy to ensure a big win for AHA in New Mexico? We partnered with the AHA Southwest team over a number of months to explore and define their challenge. Ultimately the team chose to design around this orienting question: “How might we marry evidence-based policy with community input to increase commitment, advocacy and ensure a big win for AHA in New Mexico?”. Using the team’s next legislative priority -- increased physical education in schools -- as a starting point, we interviewed and shadowed teachers, school administrators, community leaders, non-profit leaders, and policymakers. We wanted to better understand the current state of physical education in New Mexico, the interests and needs of the stakeholders, and also the nuances and idiosyncrasies of the policymaking process in the state. Then, using the perspectives and insights shared in the discovery process to fuel new ideas, we took the solutions design process right to the community, inviting a diverse group of stakeholders to co-create new community-centered advocacy strategies that reflected their interests and priorities and could to advance AHA’s legislative goals at the State House. Together, we identified a handful of community-centered advocacy strategies that the Southwest team will prototype and test in New Mexico as well as in other offices in the Southwest region. Following our engagement, the local teams have also built listening tours into their regular practice to help them more accurately identify and better understand the on-the-ground context. This represents an unprecedented shift in their policy making approach.